Does the ‘90 album title "Hallucinating Anxiety" or ’92 ‘s ...In Pains" tell you anything? If they do then you can say ‘I’m a true black metal fan’, as for me they don’t (rather didn’t), but... 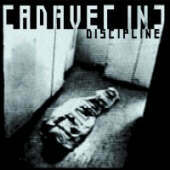 I never considered myself a black metal fan and I thought I’d never be until… I’ve heard Cadaver Inc "Discipline". Formed by guitarist Anders Odden, going by the nickname Neddo, Cadaver’s "Discipline" was recorded with only one goal in mind: brutally destroy everything that’s in their path. Joined by hyperfast drummer Czral, who is listed as ex-Dimmu Borgir but for most people should be known as Aggressor (founder of Satyricon or Aura Noir), vocalist Apollyon (Aura Noir, Dodheimsgard) and LJ Balvaz on bass, this is another Norwegian all-star lineup created of an almost perfect mix of black, death, thrash and speed metal. This release has everything; 40 minutes of old school black metal based on a mix of Mayhem and Emperor guitar riffing, Slayer’s solos, Hellhammer’s drum blasts and Aura Noir vocals. No, this is not a rip-off of any of those bands, Cadaver Inc. used a well-known formula of taking what’s best from each genre and made a furiously intense release. Don't expect any atmospheric moments on this CD, don’t even expect many slow parts cause there are only few of them and they are not sufficient enough to take a deep breath. From opener 'Primal' through 'Deliverance' and 'Murderhead' you’ll get sick riffing, unholy drumbeats and perverted screams. The Celtic Frost style riffs of 'Rupture' will give some breathing room but midway through the track it turns again into demolition machine. By the time you get to 'Point Zero', the first real break on this sick release, you will be so exhausted that you won’t even notice it in anticipation for another blow. I suggest you click “Pause” or play it again cause after that they go back to what they do best, piss on your weak subconscious. What makes "Discipline" even more special and appealing to the listener is, its classic black metal atmosphere but combined with an excellent production and a good recording quality. It’s not one of those ‘true black metal’ CDs recorded with horrible sound and unreadable booklets. You can actually hear every note from very skilled musicians that are not afraid of showing the world their talents. This album will grow on you with every spin and week from now I might even come back here to give them a higher grade. By the way, for those of you who don’t have a clue about two album titles I mentioned at the beginning of the review, they come from the Anders Odden’s early 90’s band Cadaver that was released on Necrosis. That’s all for now, it’s time to do some backlogging on those early Cadaver CDs.